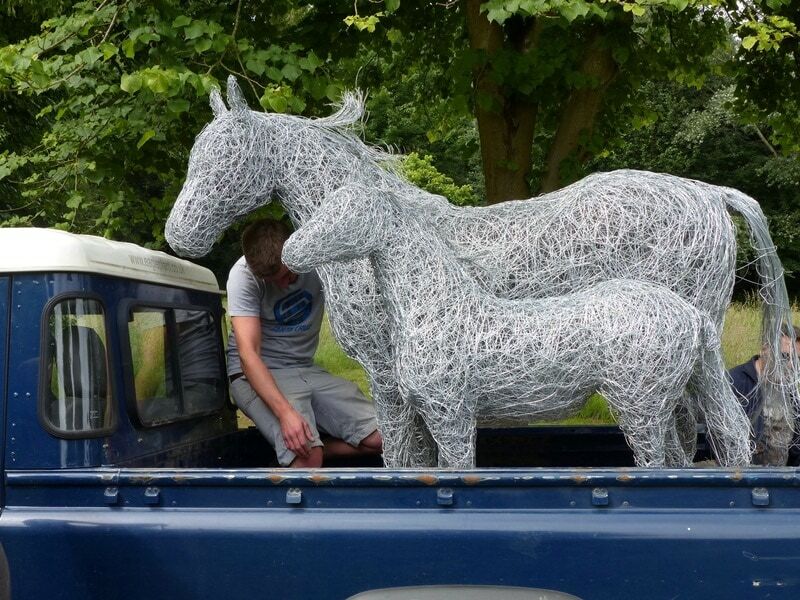 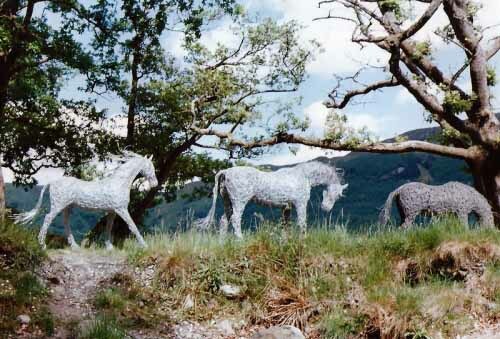 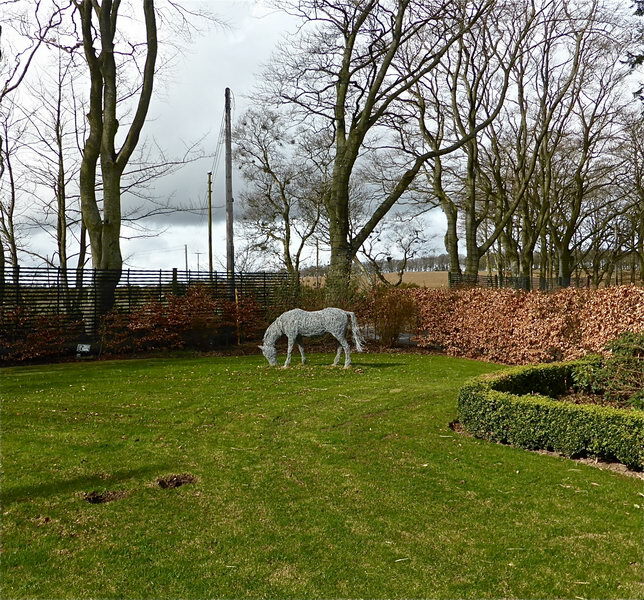 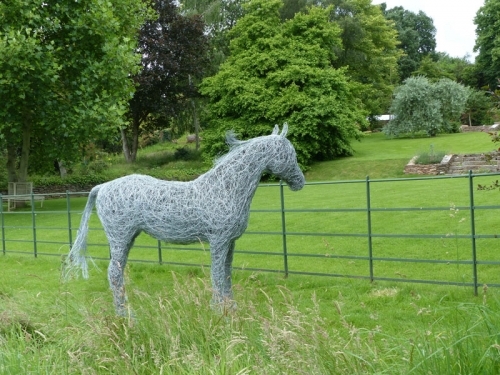 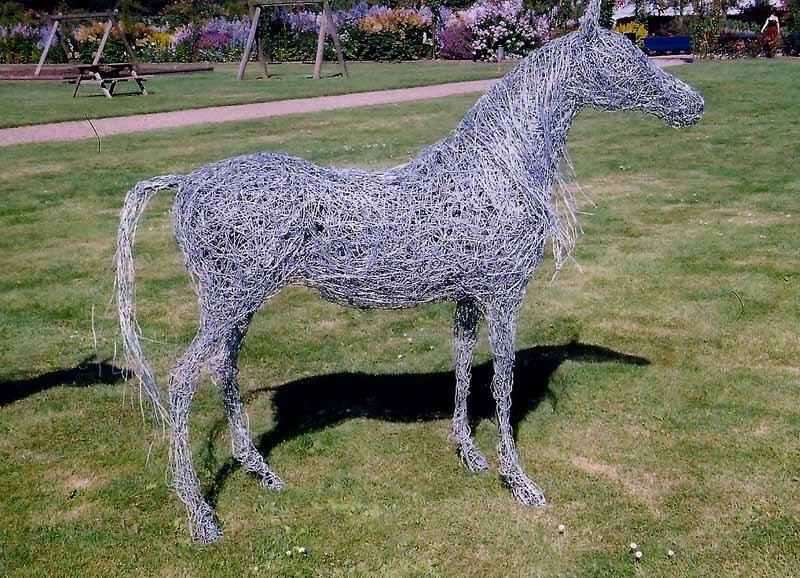 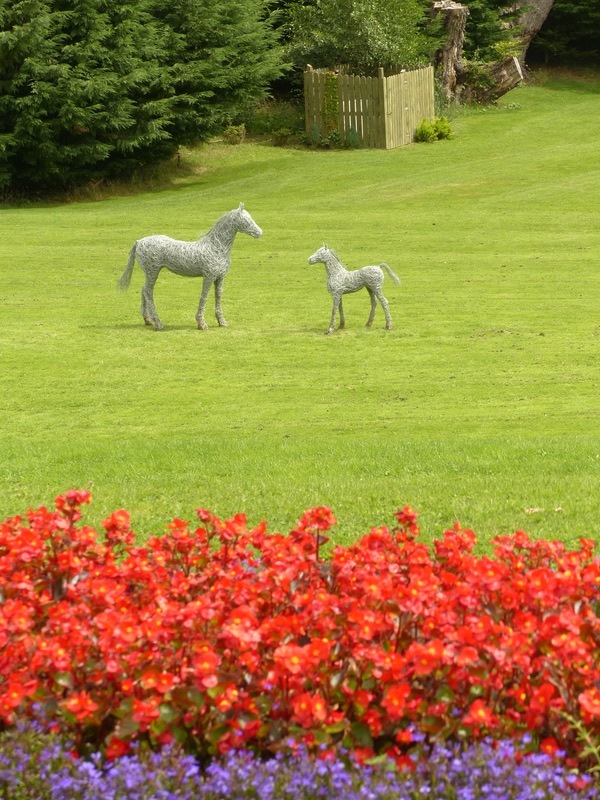 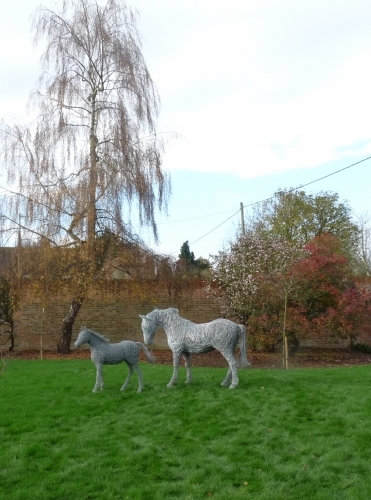 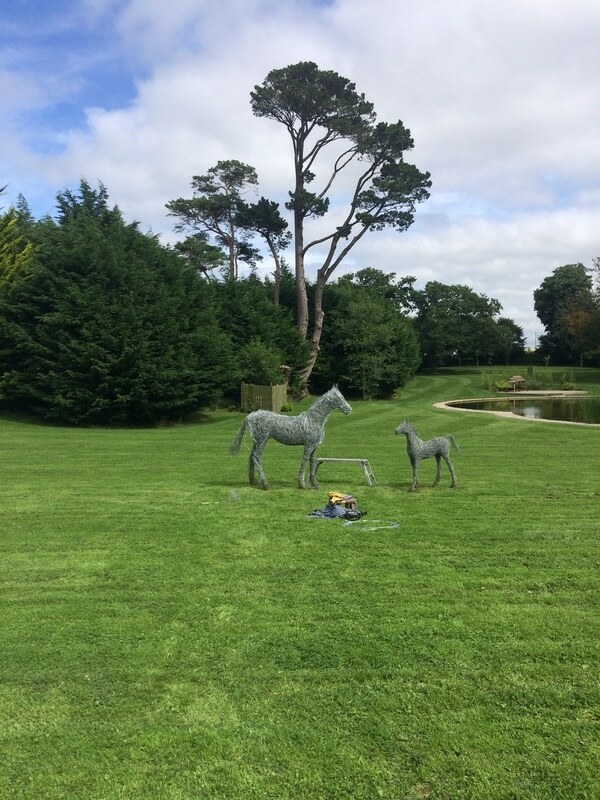 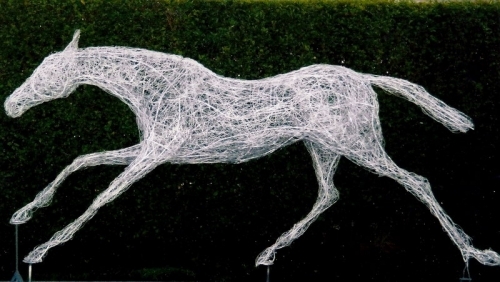 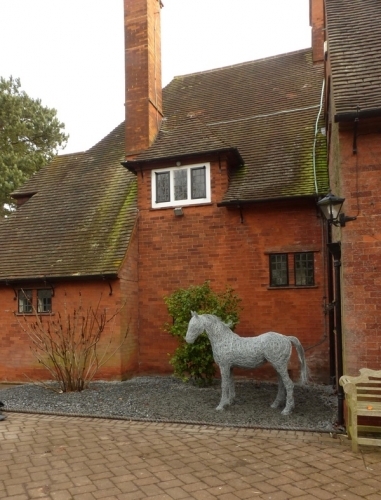 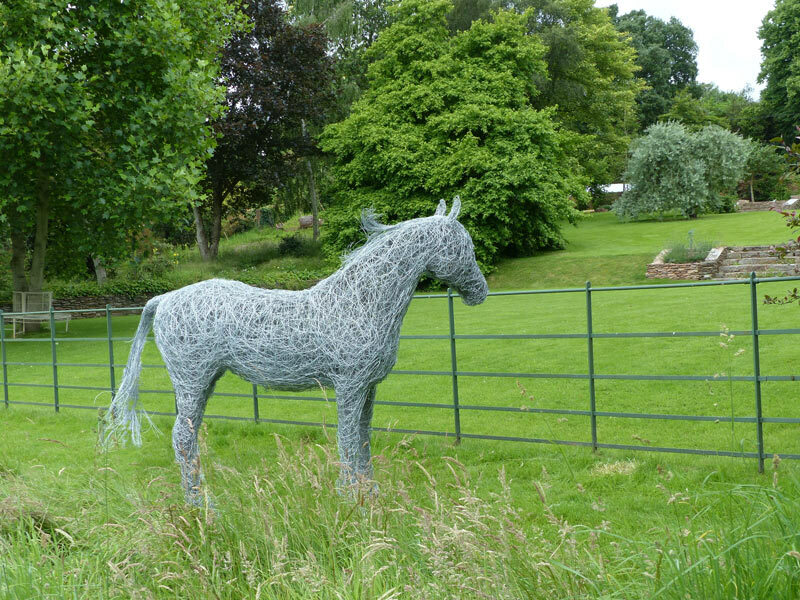 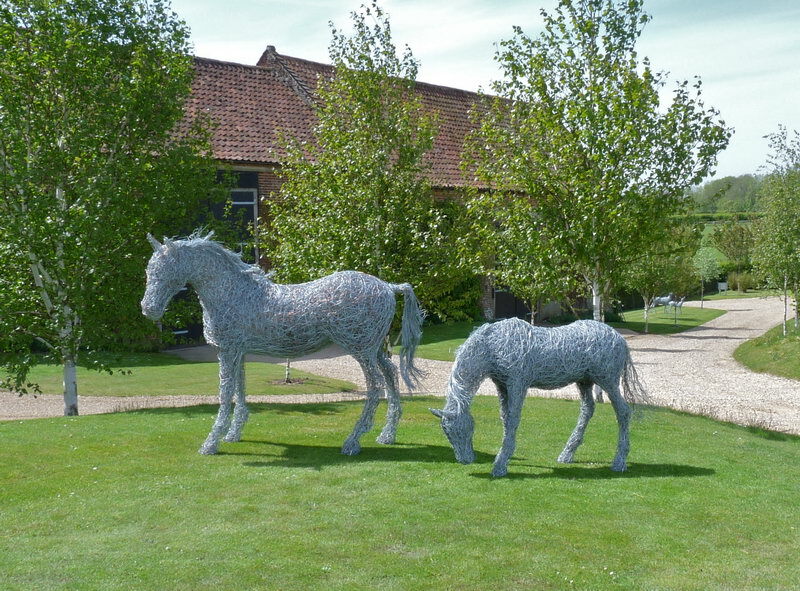 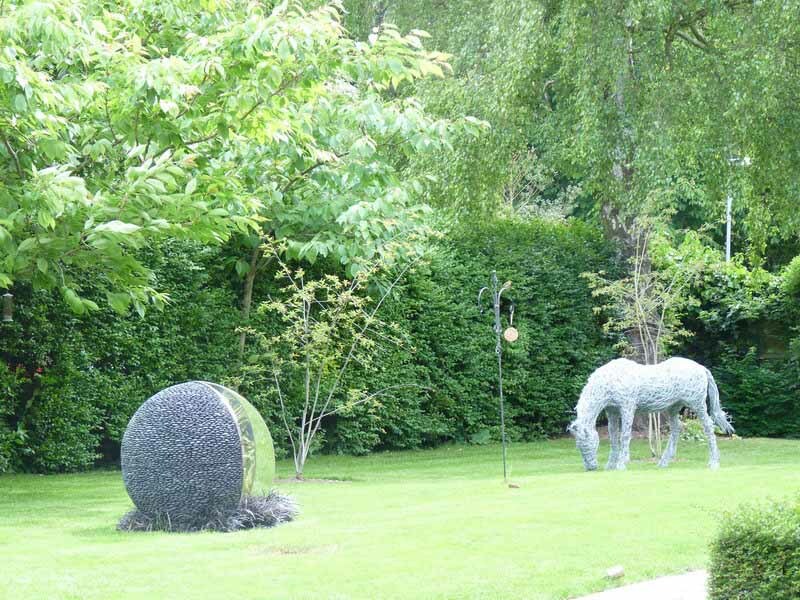 Wire Horse sculpture for your garden,contemporary horse sculptures in bronze, steel and copper wire . 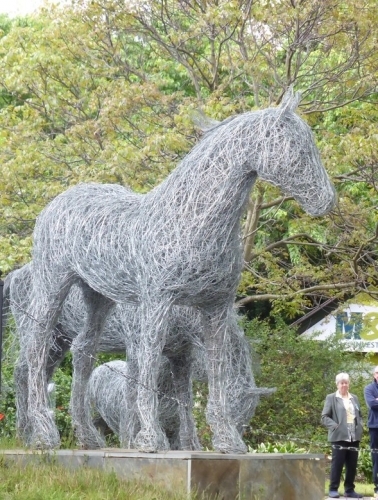 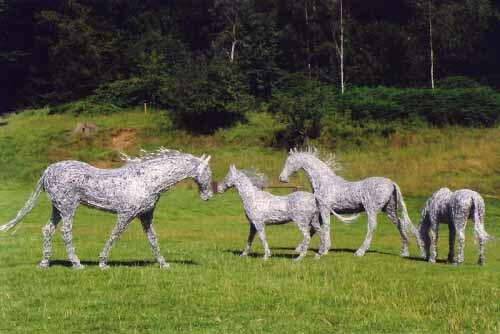 Contemporary equine sculpture, wire horses in bronze, copper and steel. Commissioned artworks, wire horse sculpture. 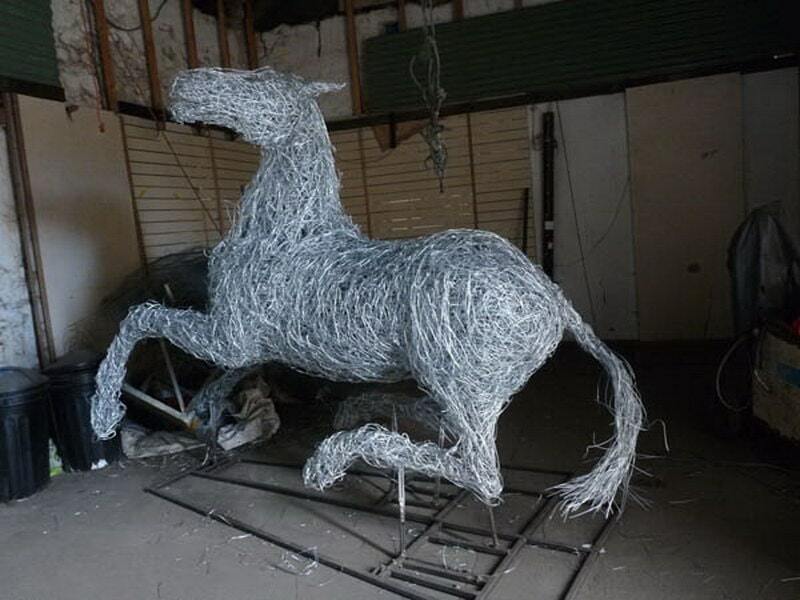 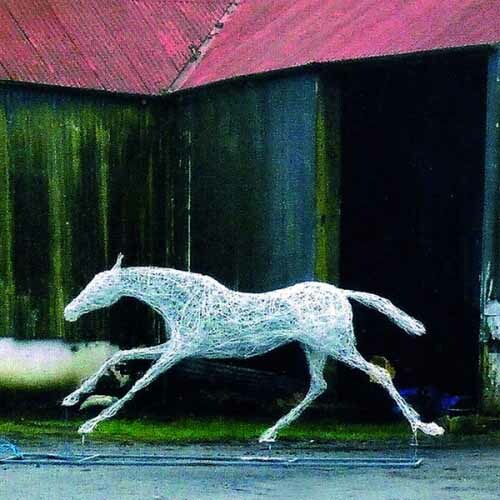 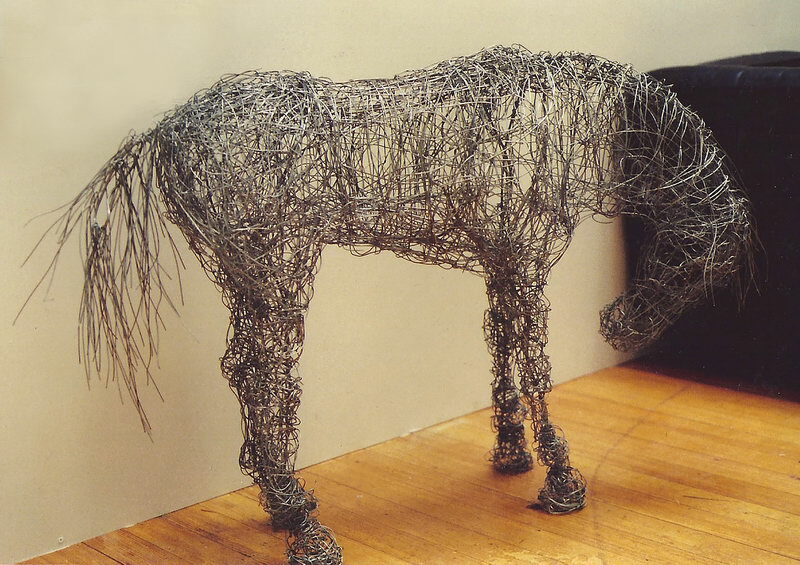 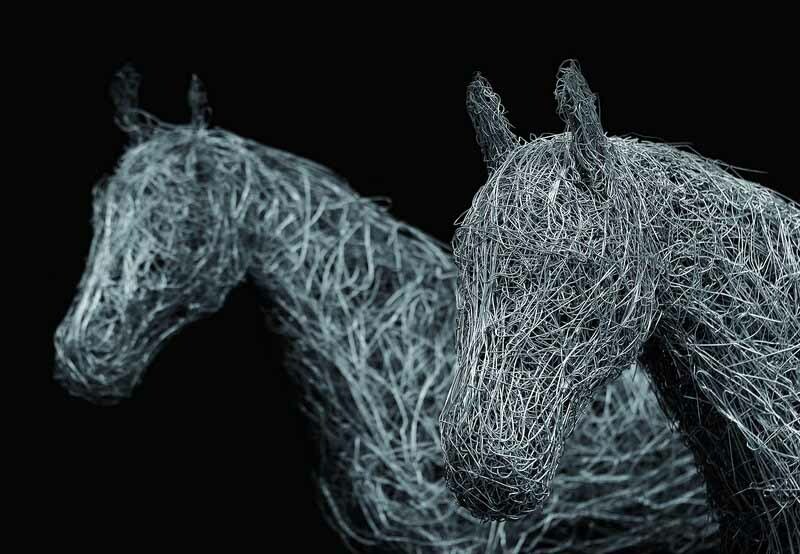 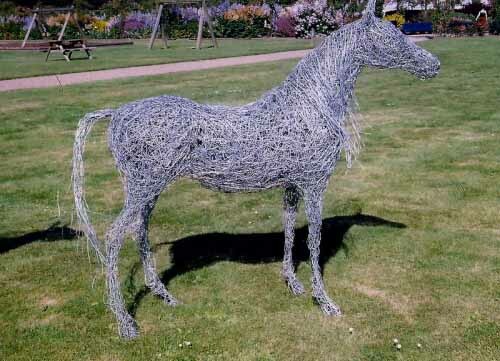 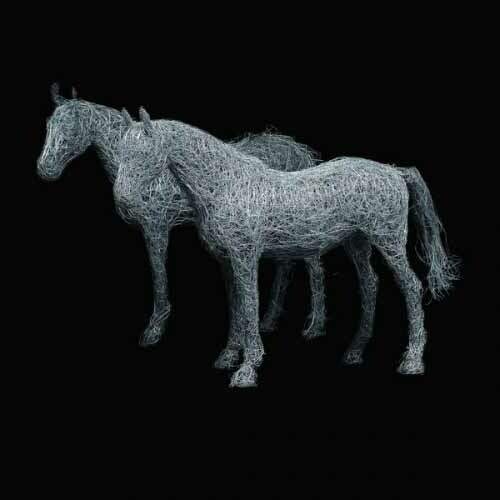 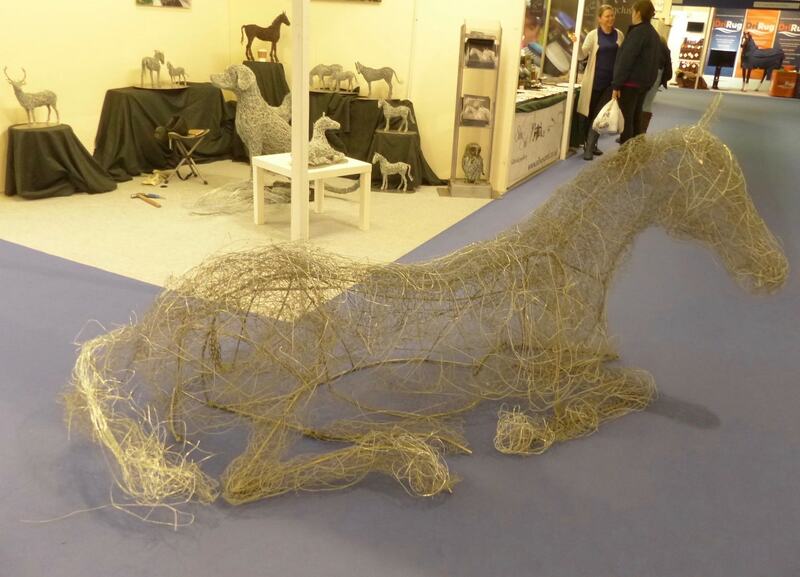 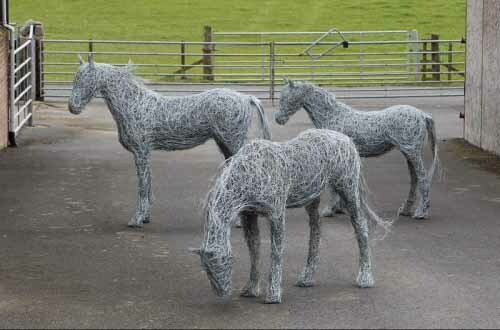 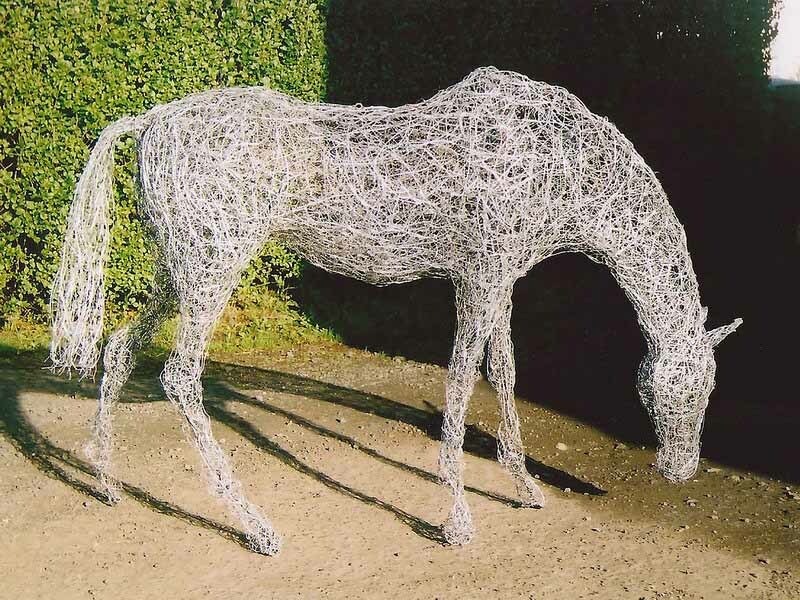 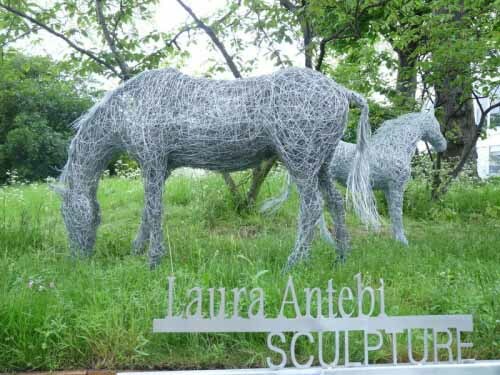 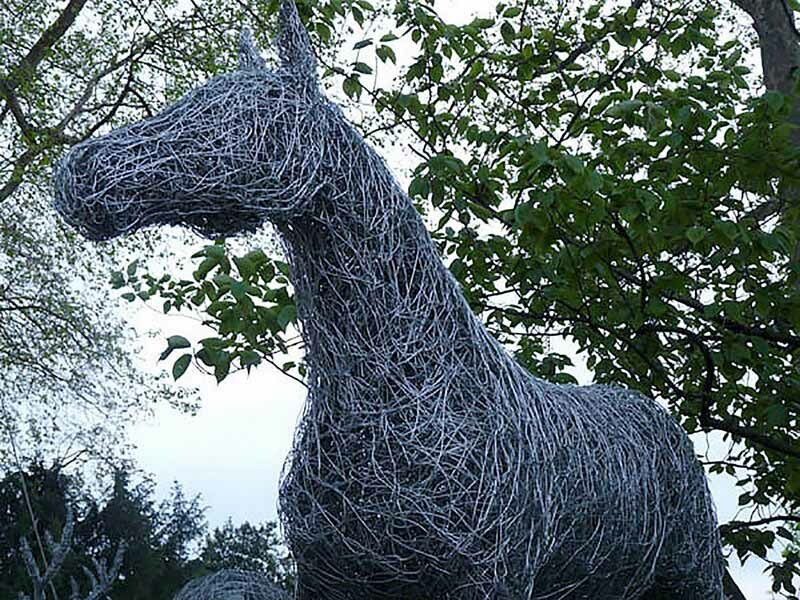 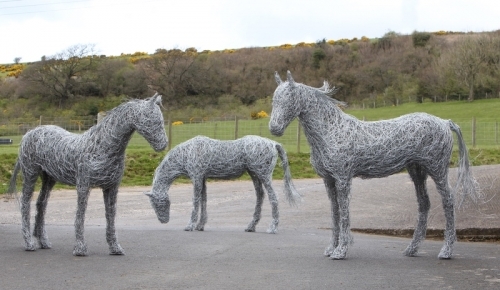 Artist Laura J Antebi creates original wire horse sculptures. 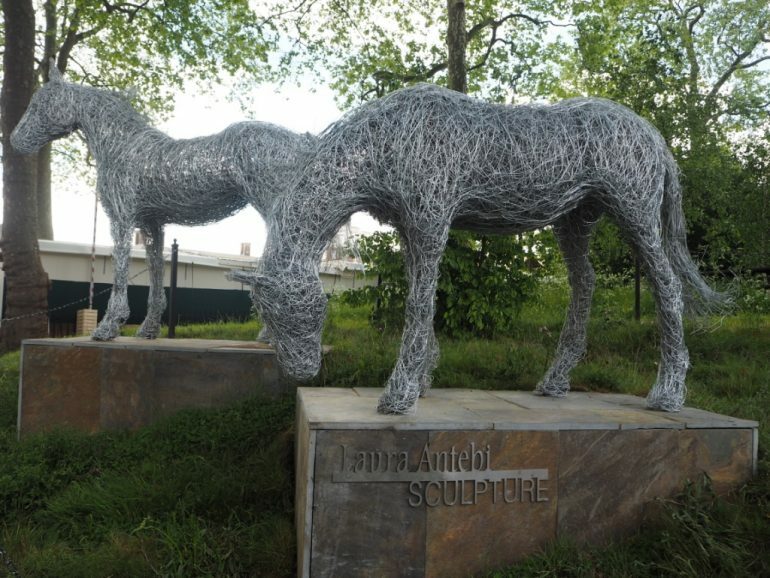 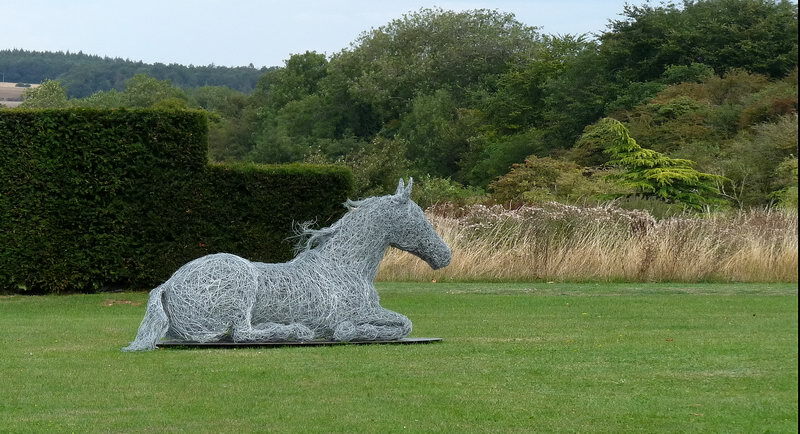 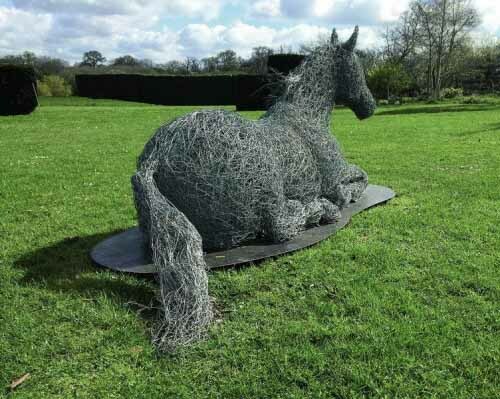 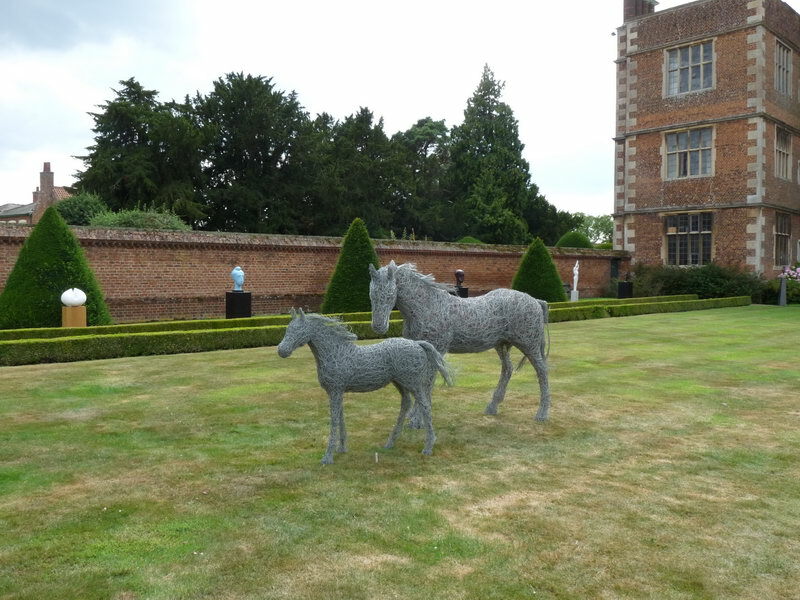 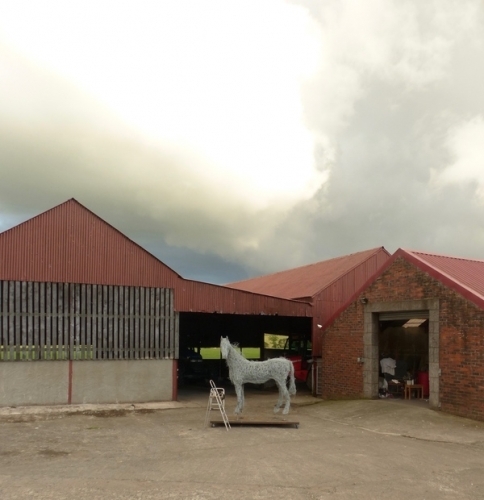 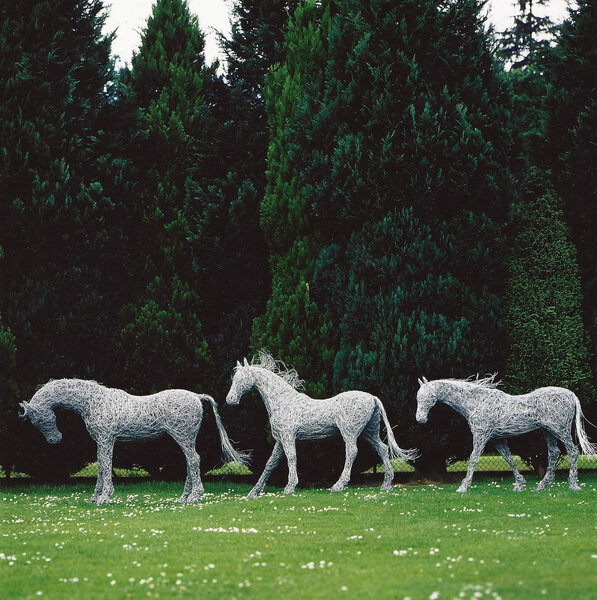 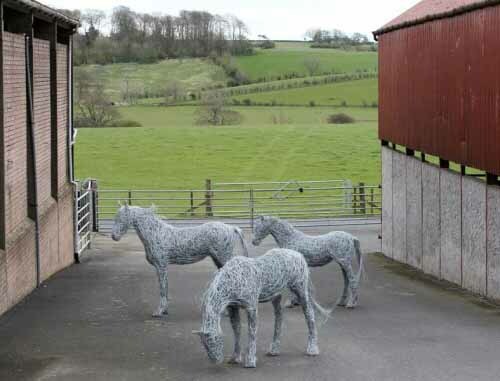 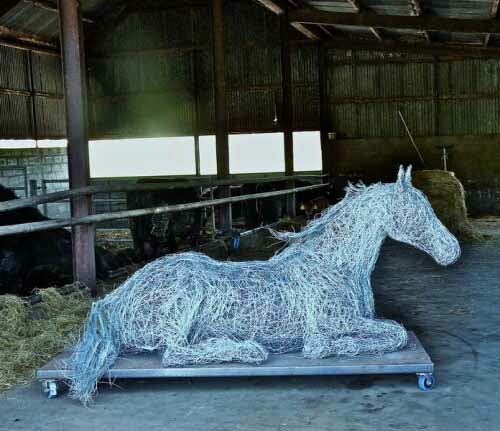 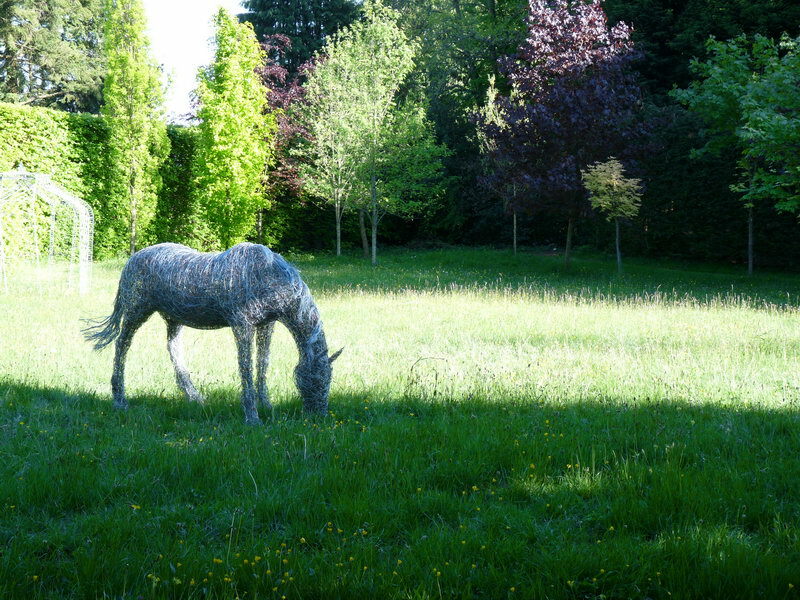 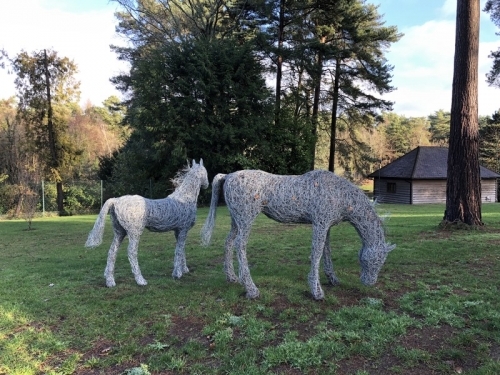 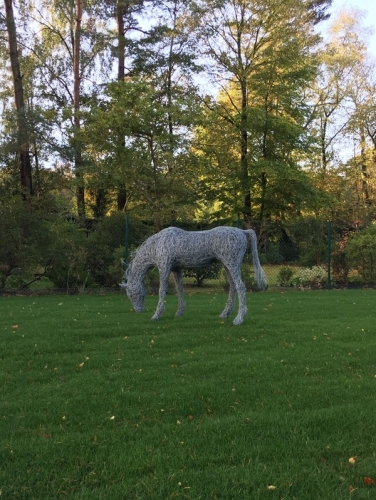 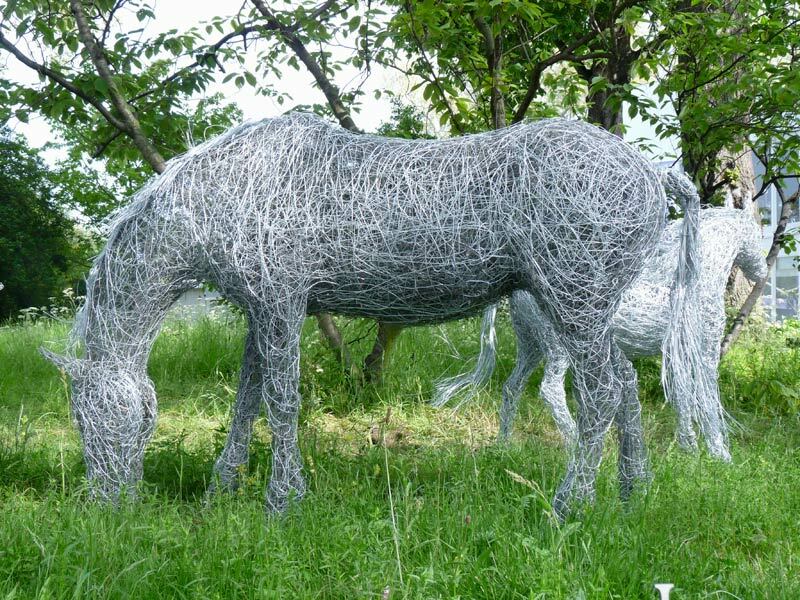 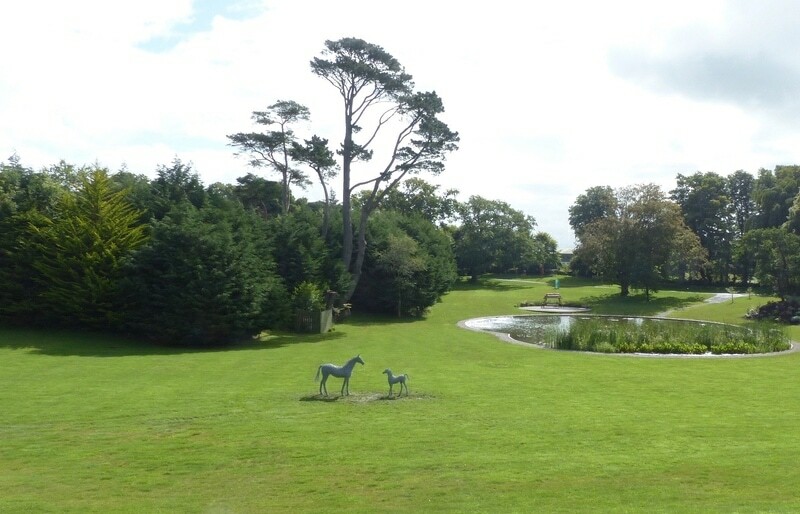 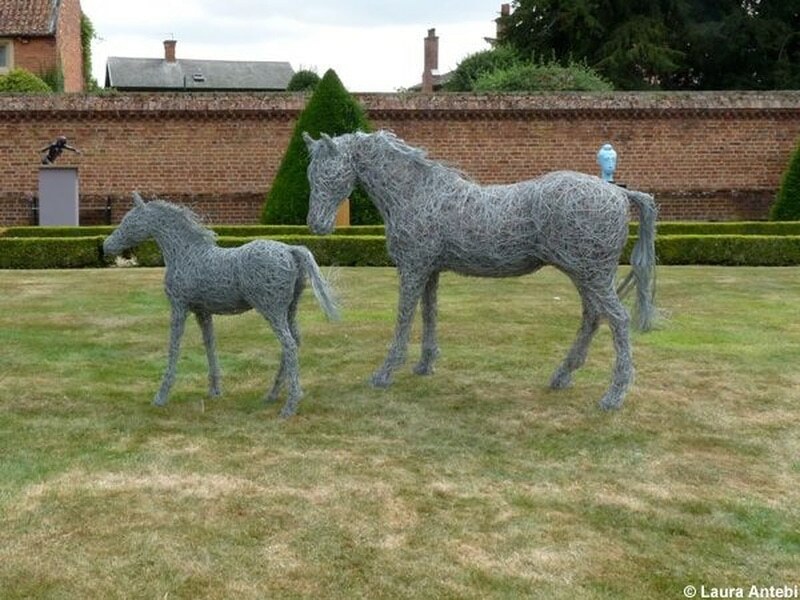 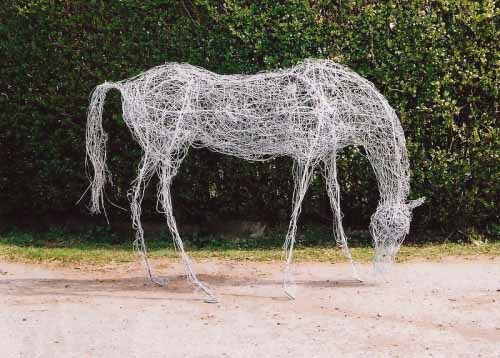 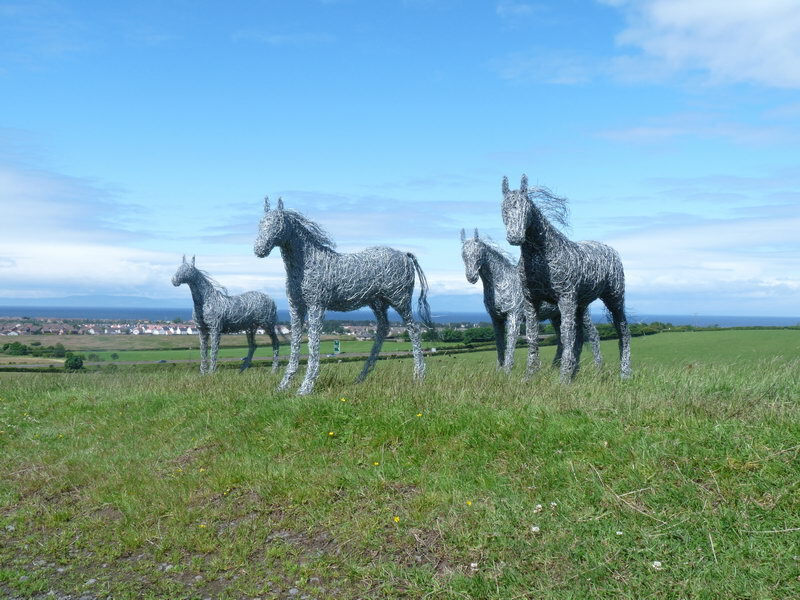 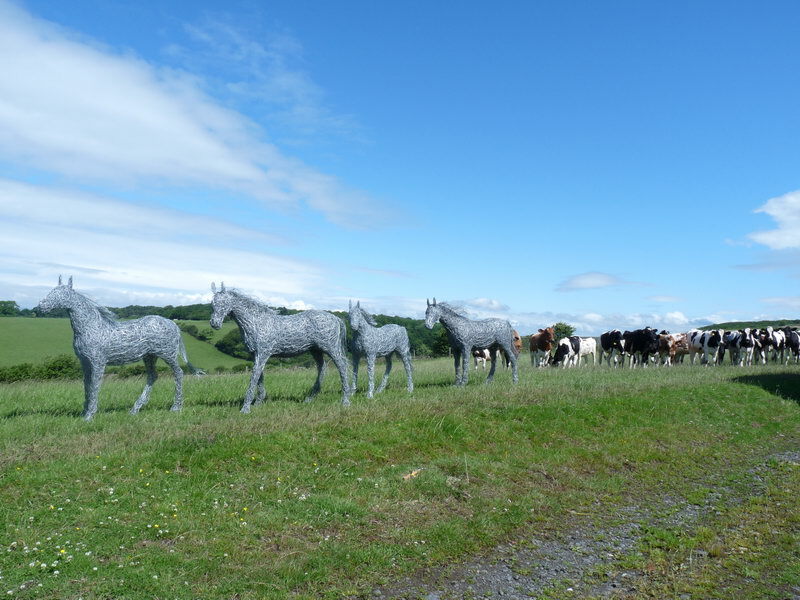 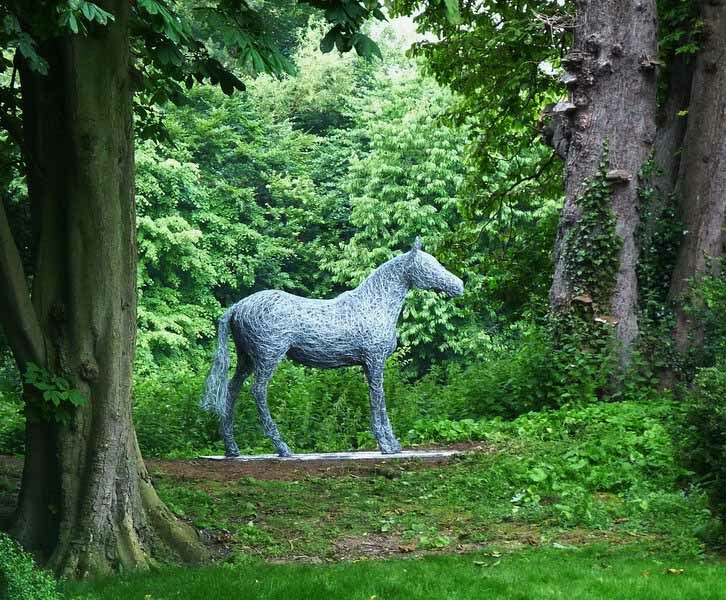 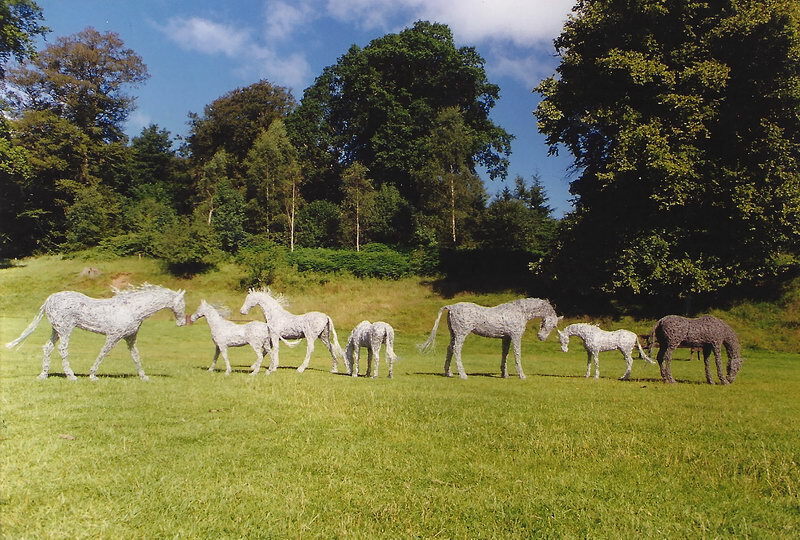 Her life-size sculptures of horses appear in the landscape like three dimensional drawings and are made of galvanised steel wire, bronze wire, copper wire and recycled materials. Since I made my first horse sculpture in 1994 until the present day I never tire of making horses. 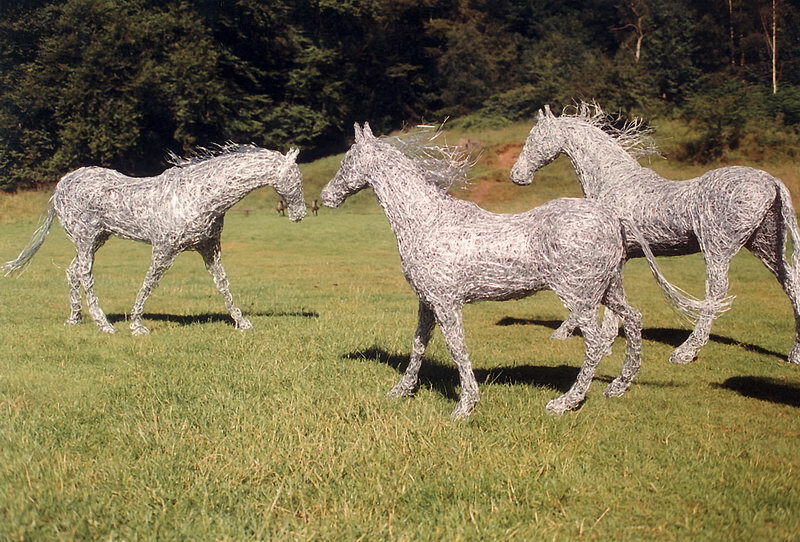 A universal symbol of freedom, grace and power, they carry me to new horizons brimming with endless possibilities. 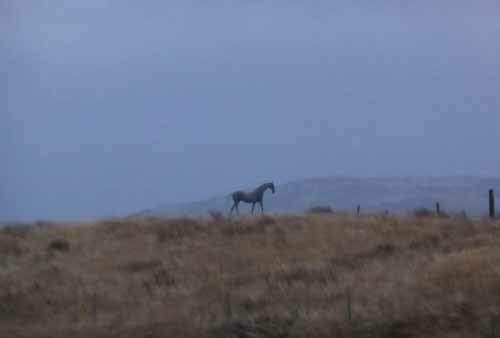 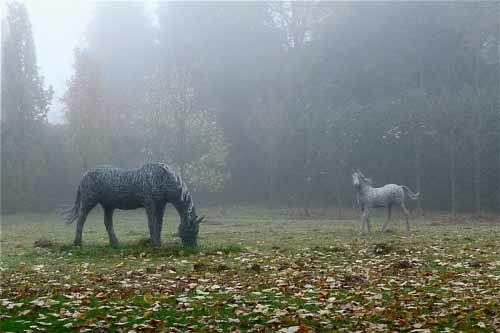 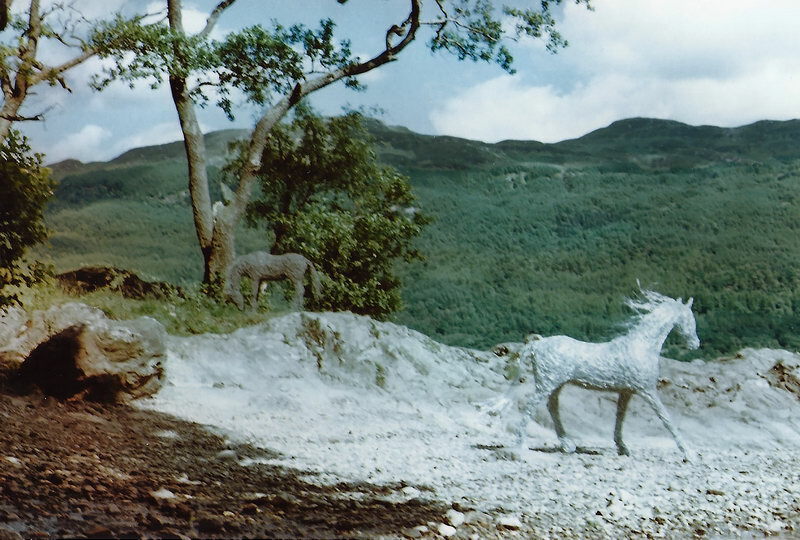 Please click on the images below to see a life-size wire racehorse, horse sculptures in a misty meadow and catch a glimpse of the horse on the hill in Oban.